I begin my whining as soon as the sun begins to set before 7PM. I miss the sunshine, you guys. And unfortunately – or as a cause of my distaste for winter – I also really, really don’t like indoor lights. 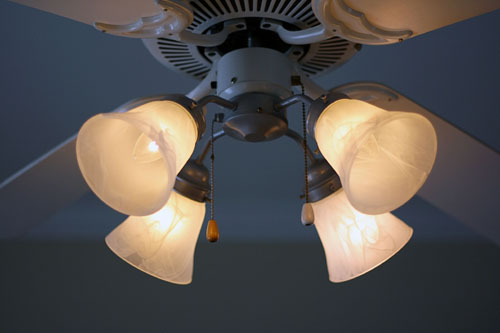 And the worst are overhead lights, which I despise in any room except the kitchen, where they’re a functional necessity. Instead, I strategically place mid-wattage lamps throughout my living space and turn them on as the sun goes down. And perhaps? Light a candle or two. If it’s going to be dark, dang it, it’s going to be cozy. None of that harsh, glaring overhead light business. Mr. P thinks this is totally weird, or at least it’s weird that I have such fierce opinions about it. Also? He’s an overhead-light man. I mean come on. His stance is, ambiance? We’re checking facebook and eating cereal, who needs ambiance? We soon needed a compromise after we got married. 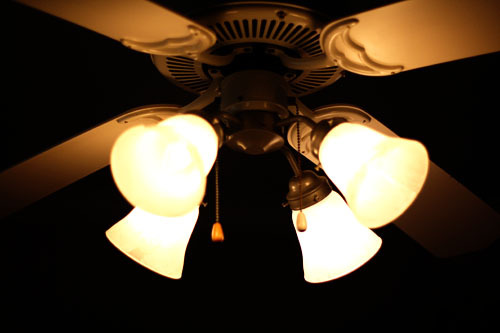 He liked overhead lights; I cowered beneath them, shielding my face, crying “YOU ARE NOT THE SUN YOU CAN’T FOOL ME.” Solution: a dimmer switch. 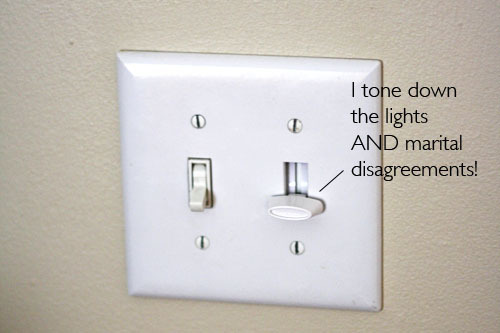 Dimmer switches are the best, you guys. There’s bright light for when you need it, but nice soft ambient light when you don’t. 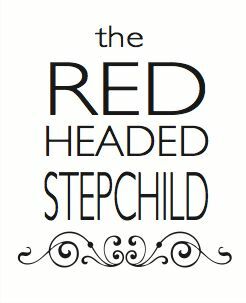 And your husband or other overhead-light loving family member doesn’t have to make the gentle-incandescent-eye-level-lamp rounds every time they want to turn on the lights. So yes, install one! While I realize that legally I should probably advise you to hire an electrician and all that... really? 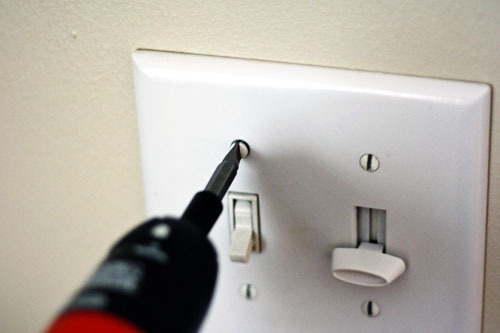 Installing a dimmer switch costs about eight bucks, and it’s so easy to do yourself if you only have one switch that controls a light. Even if there’s more than one switch for the light, there are special (though costlier) dimmer switches for that, too. I can’t tell you how to install one but hey, they come with directions, eh? You can do it. The best set of directions for how to install a dimmer switch are at Thrifty Décor Chick, so I’m not going to repeat them here when she’s already done a thorough job. I will, however, give you a few tips for things that had me stumped along the way. When I’d installed light fixtures before this, I’d found that the lights’ wires were twisted around the house’s wires in the box, and “capped” with these little... uh, caps. All you have to do is untwist the caps, twist the wires together (black to black, white to white, ground to ground), cap them, and tighten all the screws that hold the fixture in place. Easy peasy! I figured a light switch would be the same way. The wires in this case go straight from the house into the switch. No twisting, no capping. I tried and tried and googled and tried to get the wires out of the switch with the flathead screwdriver as directed, but I couldn’t get them out. So I cut them. OH YES I DID. 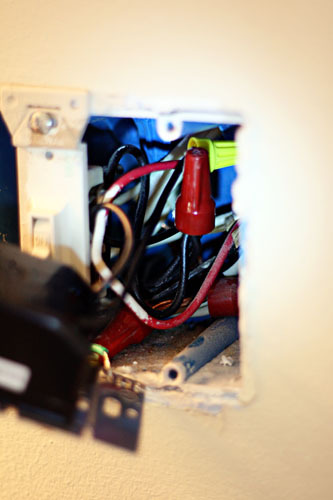 And then I stripped the insulation off the wire to expose about an inch of metal, then twisted it onto the wires on the dimmer switch and capped them off. So if you have trouble getting your wires out of the existing switch, Non-Professional Electrician Sarah P says you can cut them. That is her professional non-professional opinion on the matter. 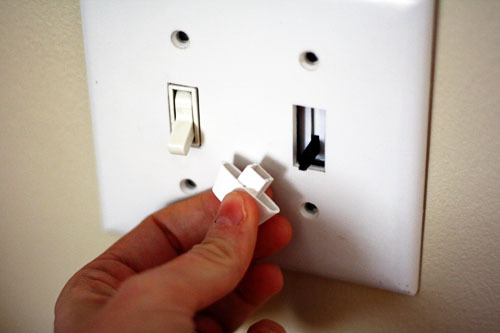 And for the second tip: don’t laugh, but if you had seen me in the aisle over a year ago, you’d find me thinking: wait a second, is this dimmer switch REALLY going to fit into my existing socket? 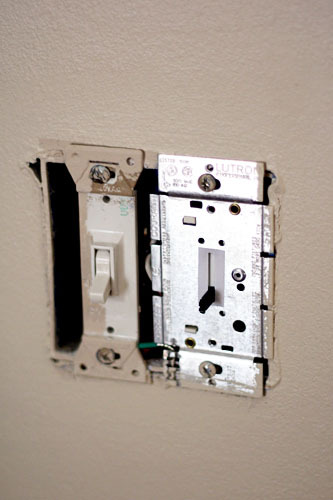 It needs a whole dimmer slide-y thing, but there’s only a small opening in the switchplate! Silly I know, but parallel screwheads are one of those things that once you notice you can’t un-notice so you have to go around and straighten all the screws on your switchplates and...oh. Oh no. I’m sorry. Uh, forget I said anything. 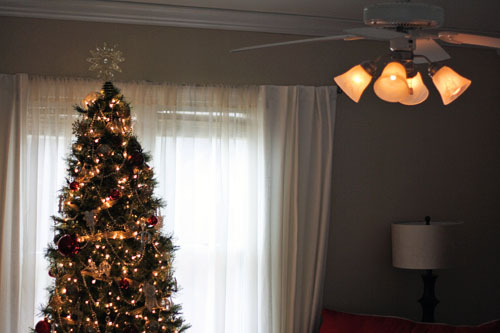 It’s one of the cheapest ways to create ambiance for the holiday season! Go for it and dim your lights!